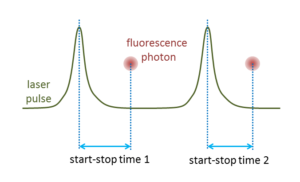 Time correlated Single Photon Counting (TCSPC) is a common technique to detect photons and measure its arrival times at the detector. 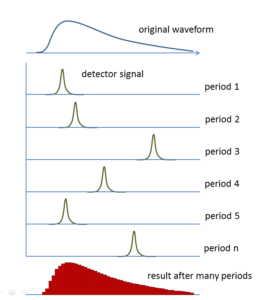 It is a statistical method which usually requires a high repetitive light source to accumulate sufficient photon numbers for the required precision. A TCSPC device typically measures the time between one START event and one STOP event (similar to a stopwatch). The time differences will be shown in a histogram representing the fluroescence intensity versus time. 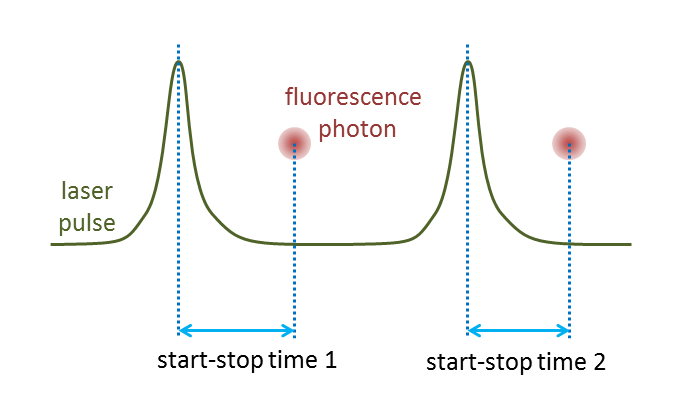 Start-Stop measurements in time-resolved fluorescence.